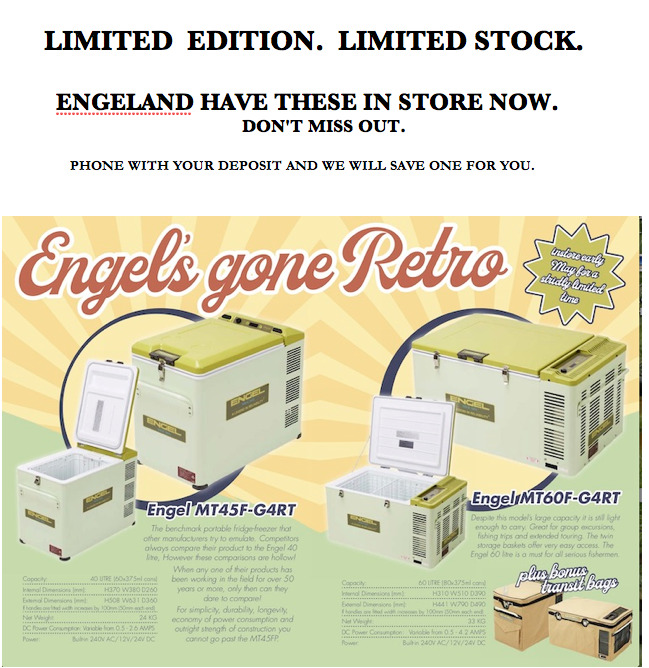 Welcome to ENGELAND for the complete range of new Engel Portable Camping Fridge Freezers, Engel Upright fridges for Caravans or Boats, Engel Spare Parts & Accessories we are your authorised Engel Dealer and Engel Service & Repair Agent. Engeland also have a comprehensive range of Engel fridges, generators and solar panels available for hire for your next camping trip. 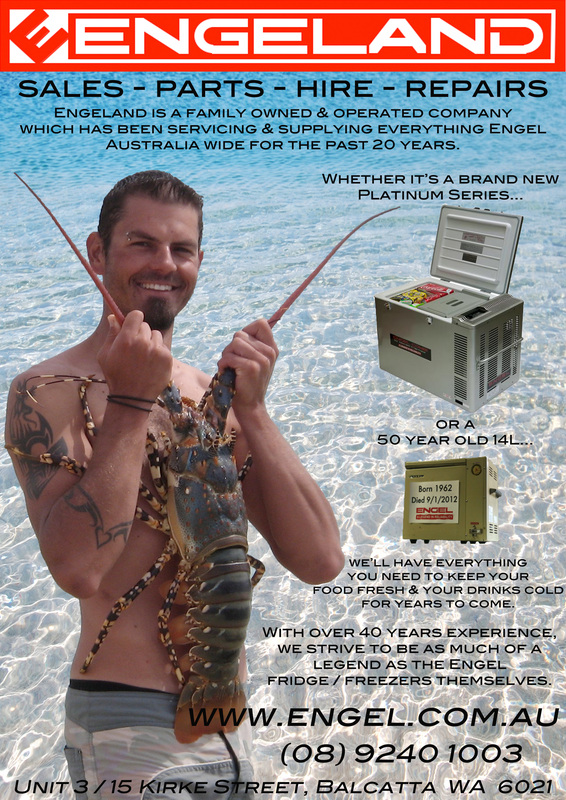 Whether for Camping, Fishing, 4WD, Boating or just to keep in the Car, we have the ideal Engel portable fridge for you. Parts for even the oldest Engel fridge are carried in store and Engel help & Engel advice are readily available to you either online or at the end of the telephone line. RETAIL or TRADE .........COUNTRY & INTERSTATE ORDERS MOST WELCOME.... WE SUPPLY AUSTRALIA WIDE. ALL ENGEL FRIDGE MODELS ARE CARRIED IN STORE & MOST AVAILABLE SPARE PARTS & ACCESSORIES ARE ON HAND. 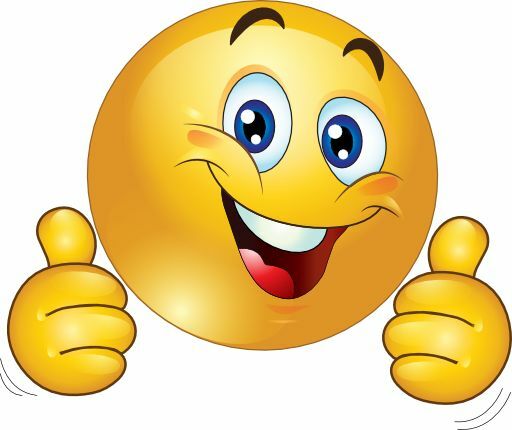 FOR FAST, EFFICIENT SERVICE & PROMPT DELIVERY AUSTRALIA WIDE WE LOOK FORWARD TO HEARING FROM YOU. We are located in Balcatta, Perth, Western Australia.